View showing Dunchurch's principal passenger facilities which included waiting room and booking hall. 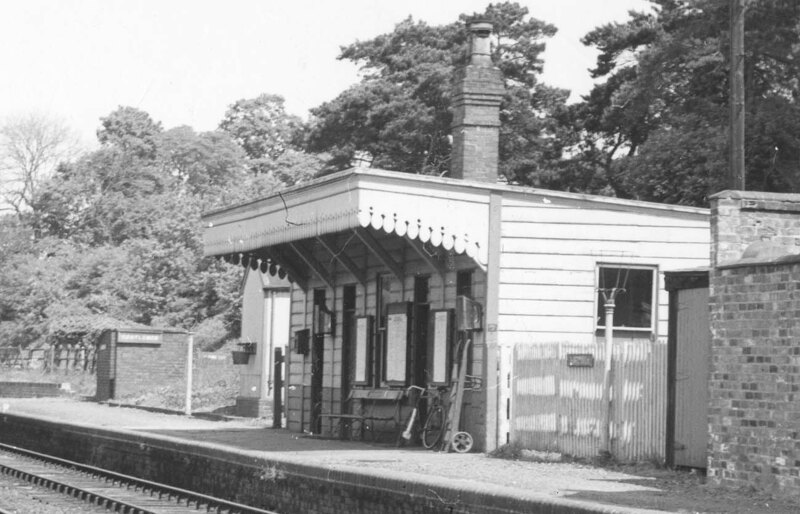 Whilst different in design, the timber framed and clad building was typical of the station facilities provided by the LNWR throughout its existence. There appear to be three rooms all accessed off the down platform. The chimney has two pots indicating that the booking office and booking hall are nearest the camera, with the booking hall also serving as a waiting room. The sign on the corner of the building reads 'Telephone', the station providing the public, in an age when few members of the public could afford to own a telephone, access to this service. If you would like a copy of this photograph please visit LNWR Society Photo and quote reference: SITES317.